1) Because space is hard to come by and many people live in incredibly small flats, there’s a strong culture of dining out for most meals. 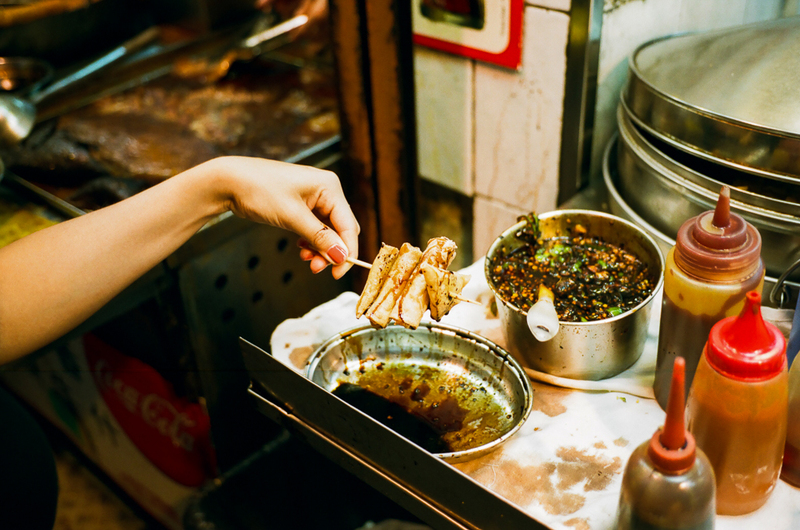 There are more than 10,000 restaurants – which means even if you ate a different one everyday it would take you nearly 10 years to try them all. And that’s assuming that none closed down or any new ones opened. 2) Pineapple buns in Hong Kong are just like tiger bread in the UK. Neither contain their namesake. 3) Selfie sticks are a thing. They’re sold everywhere and you will see loads of people using them – many of which use them to take pictures of their pets. 4) Hong Kong has a lot of shopping malls. A lot. And they’re designed so that once you’re in, it’s impossible to find your way out. 5) Many elevators are programmed to serve either odd or even numbers. For example if there are two elevators, the one on the right will serve the odd numbers (floors 1, 3, 5, 7, 9) and the one on the right will serve the even ones (2,4,6,8). This is incredibly energy and time efficient. However, it would be very inconvenient if one side were to break. 6) Finding something vegetarian to eat in a food court is a challenge. Most menus are set with little room to accomodate special requests. It’s super easy in restaurants but food courts are tough.